See also Rocky Mountain National Park and Mesa Verde National Park. 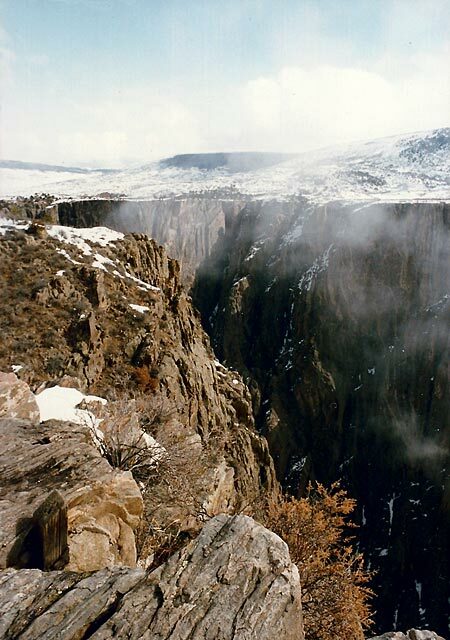 Black Canyon of the Gunnison National Park as seen from the south rim. 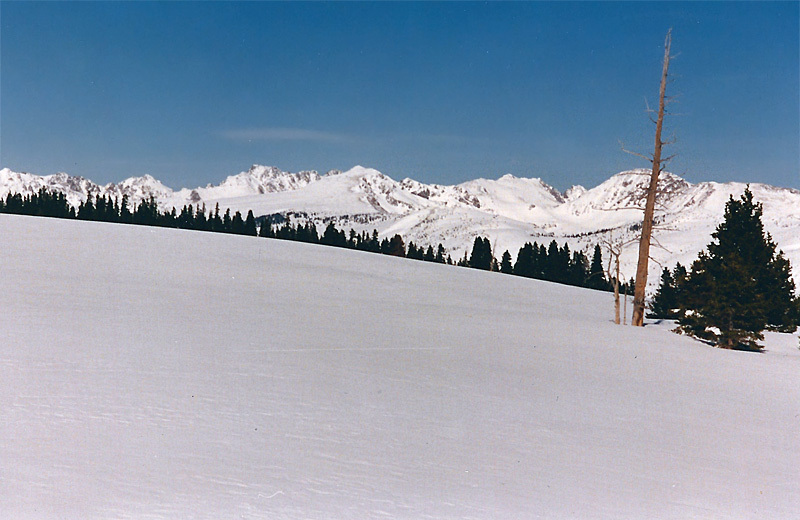 This is Shrine Pass in the middle of winter. I got this photo after about 2 hours of cross-country skiing (all uphill to this point). Shrine Pass is just east of Vail and easily accessed from a parking lot at Vail Pass. 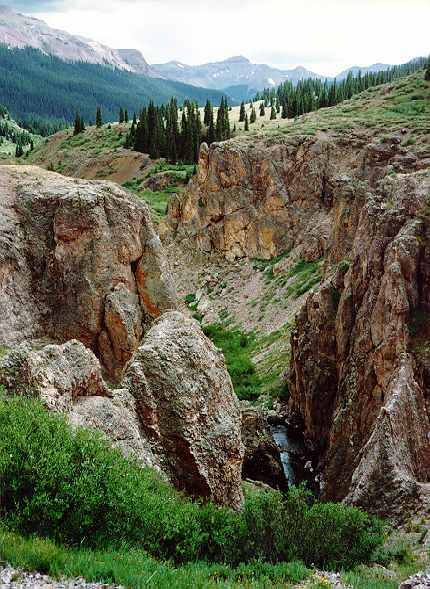 Pole Creek feeds the headwaters of the Rio Grande in southwest Colorado (Creede is the nearest town). Where this photo was taken, we had been hiking for several hours with backpacks on a gently ascending trail in the Rio Grande National Forest. Drive for about 2 hours on gravel and dirt roads to reach the Flat Tops Wilderness near Steamboat Springs. We had backpacked up above Trappers Lake and then took an easy dayhike to this spot overlooking Island and Upper Island Lake (the full size image was knit together from 3 separate photographs). 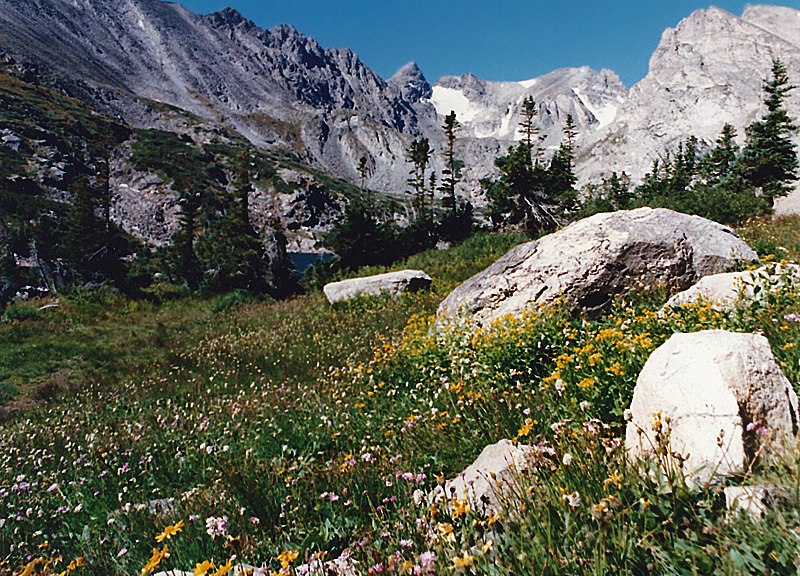 A moderate day-hike on the Long Lake trail in the Indian Peaks Wilderness will take you to several lakes and views like this one of Navajo Peak. 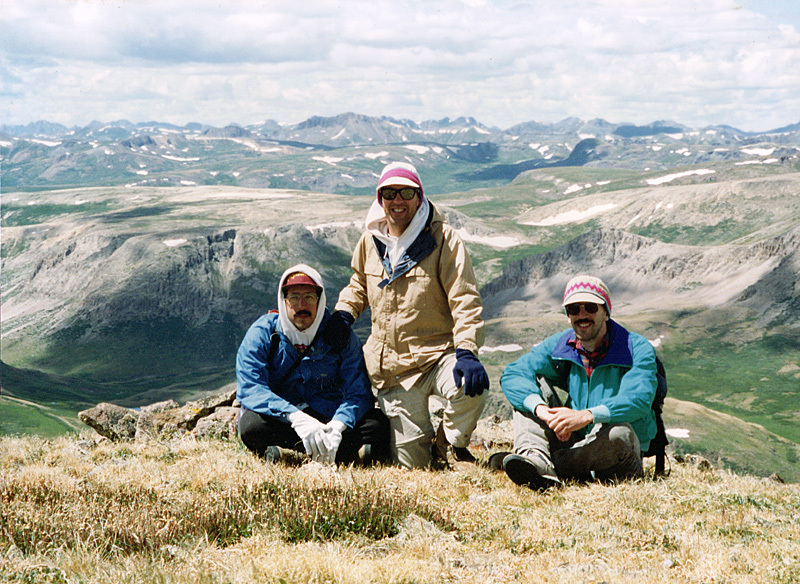 My brothers and I on the Continental Divide, high above the Rio Grande National Forest in the San Juan Mountains.